Discussion in 'Fuel System & Electrics' started by Dubman, Jan 14, 2013. It seems no amount of of bending and twisting can get my Wiper arms into the correct position. leaving my wipers not clearing the glass properly. A while back I purchased a replacement set from JK only to find that they only suit imports. Looks like TheBusStop is no go either. Wipers are over rated Nath. Heard much about Rainex, but never tried the stuff. So question, (looking at my bugsplatted windscreen at the mo), if it had the rainex treatment, would the bugs be there? And if so, when visibility is so poor, that you just have to scrape and clean the bugs off, do you need to re apply the rainex? Grant, rainex is a brilliant product....sort of like a sealer/polish for glass. Water instantly beads & runs off. - re the bug splatters, the guts won't stick as hard...wash 'em off at the time & you won't be scraping anything. I have used Rainex and Rain Vision both work well, wipers do work ok in the wet but its the in between that bothers me, when washing the glass with squirters they don't remove the water and washer additive properly and leave streaks that can be distracting. Probably being fussy. Bought a set then took them to the local engineering place where they bent them to the right side for $20. Bernie if you want to give these a go let me know by pm, the blades need new inserts but the arms look pretty good except for a couple of little corrosion spots. Bernie "Saabman", or Nathan "Dubman68"???? And, of course, German built vans 77 on had right sweepers here as well. Pre-74 Australian built vans having left sweepers as mentioned above. The "Australian built" description in the JK ad is at best confusing. I presume, since even their Australian site is heavily dependent on their UK site, it is using the term to loosely describe all those 74 on bays shipped from here to the UK - some of which were German built. 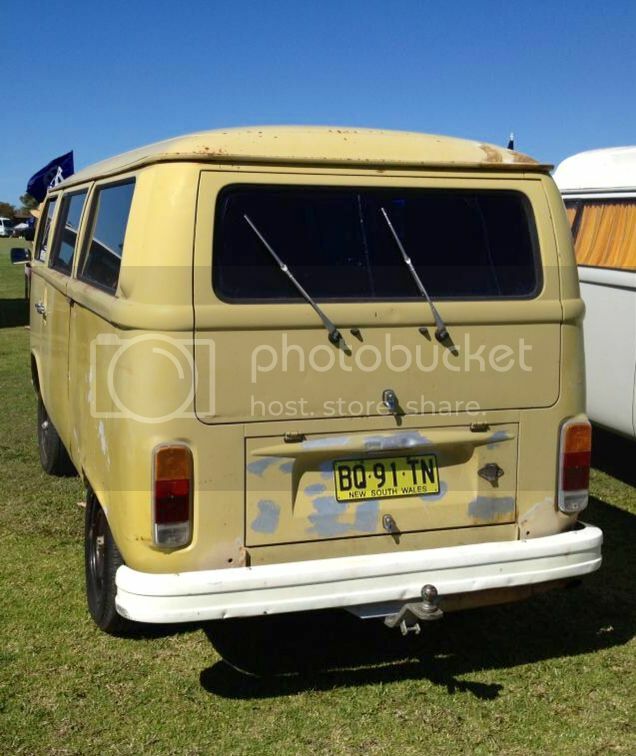 I suspect those JK wipers will fit 74 on vans built in, or officially imported into, Australia.